Cheats for Can You Escape 3 Level 15 Walkthrough how to pass each puzzle room stage by collecting and combine items, solve puzzles and crack codes to escape the residence room and reach new stage ! This entry was posted in can you escape 3 on May 18, 2015 by 100doorssolution. Solutions for Can You Escape 3 Level 14 Walkthrough how to pass each puzzle room stage by collecting and combine items, solve puzzles and crack codes to escape the residence room and reach new stage ! Answer for Can You Escape 3 Level 13 Walkthrough how to pass each puzzle room stage by collecting and combine items, solve puzzles and crack codes to escape the residence room and reach new stage ! Answers for Can You Escape 3 Level 12 Walkthrough how to pass each puzzle room stage by collecting and combine items, solve puzzles and crack codes to escape the residence room and reach new stage ! Clue for Can You Escape 3 Level 11 Walkthrough how to pass each puzzle room stage by collecting and combine items, solve puzzles and crack codes to escape the residence room and reach new stage ! This entry was posted in can you escape 3 and tagged can you escape 3 level 11 cheats on November 8, 2014 by 100doorssolution. Clue for Can You Escape 3 Level 10 Walkthrough how to pass each puzzle room stage by collecting and combine items, solve puzzles and crack codes to escape the residence room and reach new stage ! This entry was posted in can you escape 3 and tagged can you escape 3 level 10 cheats on November 8, 2014 by 100doorssolution. Solution for Can You Escape 3 Level 9 Walkthrough how to pass each puzzle room stage by collecting and combine items, solve puzzles and crack codes to escape the residence room and reach new stage ! This entry was posted in can you escape 3 and tagged can you escape 3 level 9 cheats on November 7, 2014 by 100doorssolution. Cheat for Can You Escape 3 Level 8 Walkthrough how to pass each puzzle room stage by collecting and combine items, solve puzzles and crack codes to escape the residence room and reach new stage ! This entry was posted in can you escape 3 and tagged can you escape 3 level 8 cheats on November 7, 2014 by 100doorssolution. Answers for Can You Escape 3 Level 7 Walkthrough how to pass each puzzle room stage by collecting and combine items, solve puzzles and crack codes to escape the residence room and reach new stage ! 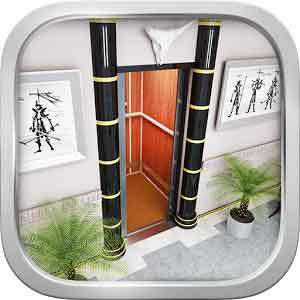 This entry was posted in can you escape 3 and tagged can you escape 3 level 7 cheats on November 7, 2014 by 100doorssolution. Cheats for Can You Escape 3 Level 6 Walkthrough how to pass each puzzle room stage by collecting and combine items, solve puzzles and crack codes to escape the residence room and reach new stage ! This entry was posted in can you escape 3 and tagged can you escape 3 level 6 cheats on November 7, 2014 by 100doorssolution.